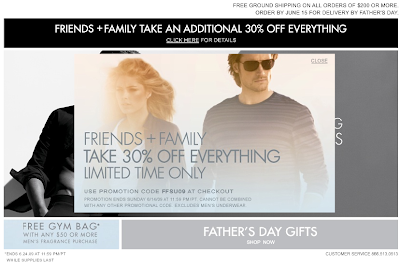 30% Off Everything - Friends & Family / Father's Day Sale 2009 - Calvin Klein! We at Qmania are big fans of stylish clothing. Particularly when it's a good deal. We can't help it. That's why we love spreading the word on this kind of deal... Sweet. If you're a business owner, learn more about what and how we do here. See all our greatest deals now. It's the best suit to give a special gift in this coming Father's Day, i think we have to gave them a special gift to our special father.